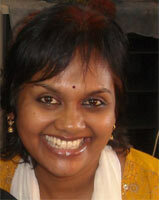 Suseela Devi Chandran is Phd candidate attached with Institute of Malaysia & International Studies (IKMAS), National University Malaysia (UKM), Bangi, Malaysia. Her area of research is on Malaysia-India bilateral relations. She has been in academic field for the last 15 years. She was a recipient of Fullbright Commissions Award from the US Institute on United States National Security (2008). She served as a lecturer in University Malaysia Sarawak (UNIMAS), Sarawak from 1998-2006. She is also interested in the area of regional groupings in Southeast Asia, bilateral relations of ASEAN countries in Asia Pacific region.